We made it to the Dominican Republic! Everything actually went really well. On Sunday, we drove a couple of hours to Cleveland, because our flight left from the Cleveland airport (there were fewer layovers that way). The kids were actually really excited to go to Cleveland, because they were dying to go back to Melt Bar & Grilled. 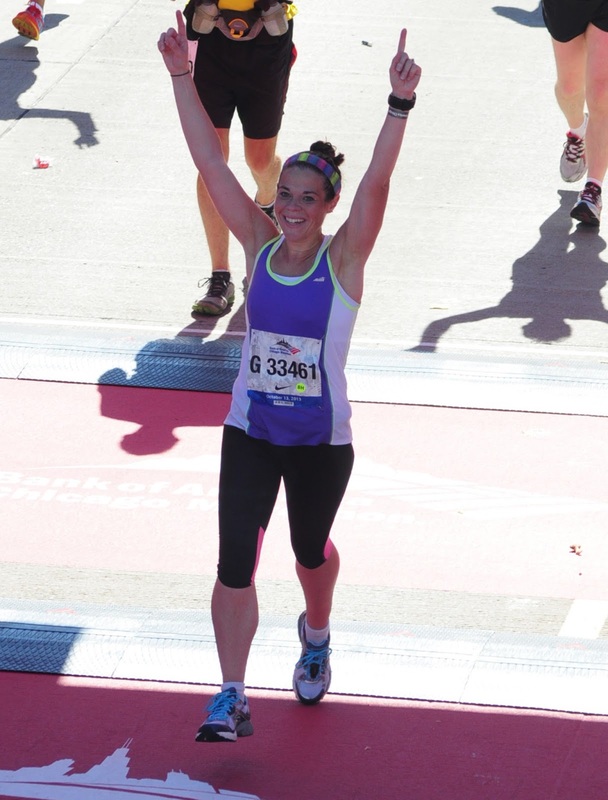 We went there in 2012, when I ran my first marathon in Cleveland. We had that for dinner on Sunday night. I remembered how huge their portions were, so I didn't even order anything, and decided just to eat a little of the kids' and Jerry's food. Eli ordered a pulled pork sandwich, so I ate half of that, and it was delicious! The fries weren't good at all, so I didn't eat any of those. It was nice to leave there feeling satisfied, but not stuffed. That night, we just went to the hotel with plans of going to bed super early. We had to get up at 4:00 in the morning to get to the airport. I wasn't the slightest bit tired, and I ended up getting caught up in the show Naked & Afraid and staying up until 10:00. I was too excited and nervous to sleep much anyway, so I only got about an hour's sleep that night. On Monday morning, we got up at 4:00 and got ready quickly to head out the door. I wasn't sure what to expect at the airport, because we'd never been to the Cleveland airport before. Our flight wasn't until 7:20, but they recommended you check at least two hours early for an international flight. This was actually my first time flying internationally! It felt kind of strange following those signs in the airport instead of domestic. We checked our bags and made it through security really quickly. We were at the gate by 5:10! So we just walked around the airport, and let the kids get snacks for the plane. Then we went to Bruegger's Bagels to eat some breakfast and kill time. And finally, we went to a bar to wait for about 45 minutes before boarding. I had a couple of glasses of wine (flying is much easier for me when I've had wine), and the kids had juice, and then we boarded the plane. We had to fly to Pittsburgh for a very short layover (we didn't even get off the plane--we just had to let some people on, and then we left again in about 20 minutes). I sat with Eli, and he told me I could have the window seat. I have no idea why he gave that up, but since I prefer window seats, I was grateful. Jerry and Noah sat right behind us. Noah was nervous at first, because he hadn't flown in a few years. This was our first time flying together as a family--the kids have flown with my sister and my parents' once or twice, but never with Jerry or I. Having the kids there was a nice distraction from the fact that I was flying (because I'm such a nervous flyer). The flight to Punta Cana was long (3.5 hours). It's hard to entertain the kids for that long. We let them buy TV time on the plane, but once we got over the ocean, the TV wasn't working anymore. I had to fill out customs forms for all of us, which took up quite a bit of time. Finally, we landed in Punta Cana! The airport was unlike any airport I'd ever seen before. It was an open-air building, and very small (which was good, considering the amount of luggage we had!). We didn't pull up to a gate, but instead, just went down some steps off the plane and onto the ground. It was super hot and humid coming off the plane. First, we had to buy some sort of traveler's card to enter the country, which was $10 per person. Then we got in line for customs, and that only took a minute or two. And then we went to get our luggage. The whole process only took about 10 minutes total. Much less than I expected! We booked our trip through Apple Vacations, and we had a private transfer from the airport, so we didn't have to wait for anyone else. We got in a van and our driver took us to the resort. The drive was interesting--and it kind of made me feel guilty about being here. Their way of life here is definitely different than the states, and I guess I just wasn't expecting how poor everything was. There was a lot of garbage littering the streets, and there were people on motorcycles doing things you'd never see in the states--no helmets, a young girl riding, several people on each motorcycle, etc. Seeing the conditions on the way to the resort made me feel like an over-privaledged American (if that makes sense), and it just made me feel extra grateful to be able to experience an all-inclusive resort like this. When we got to the resort, it looked nothing like the drive there, of course. It was beautiful--all palm trees, white sandy beaches, and gorgeous decor. Our room wasn't ready yet, so the concierge showed us to the dining room where we could have lunch while we waited. I had a terrible headache, I think from being dehydrated, and I didn't end up eating, but the kids and Jerry did. After that, we sat outside and talked with the concierge about the resort. As we were talking, my sister came up behind him to surprise the kids. 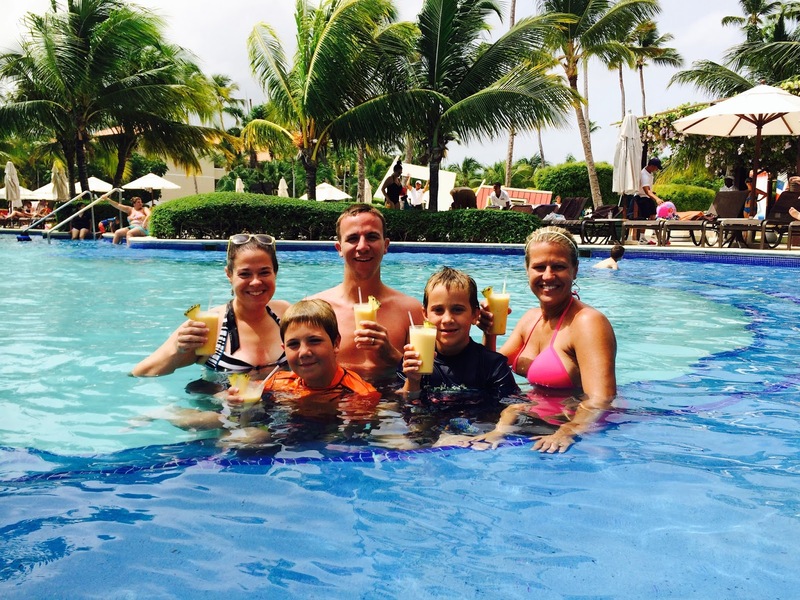 We hadn't told them this, but Jeanie booked a room for five days to come spend time with them, too! They were really excited to see her, and of course asked if they could stay in her room ;) Our rooms are right next door to each other, so it worked out well. She offered to babysit any time at all while she was here, so that Jerry and I could spend time alone if we wanted. We went to the beach and hung out there until our rooms were ready. We were all extremely tired from the travel day, so we didn't even end up going to dinner--instead, we ordered in room service. It still feels kind of strange to me that everything is all-inclusive. Room service, all drinks, all meals, everything is included. We brought a lot of tip money, so we've been tipping well. The tips are technically included, but the people that work here work HARD, and a tip is certainly well-deserved. The workers really appreciate the tips and are excited to help us out because of it. 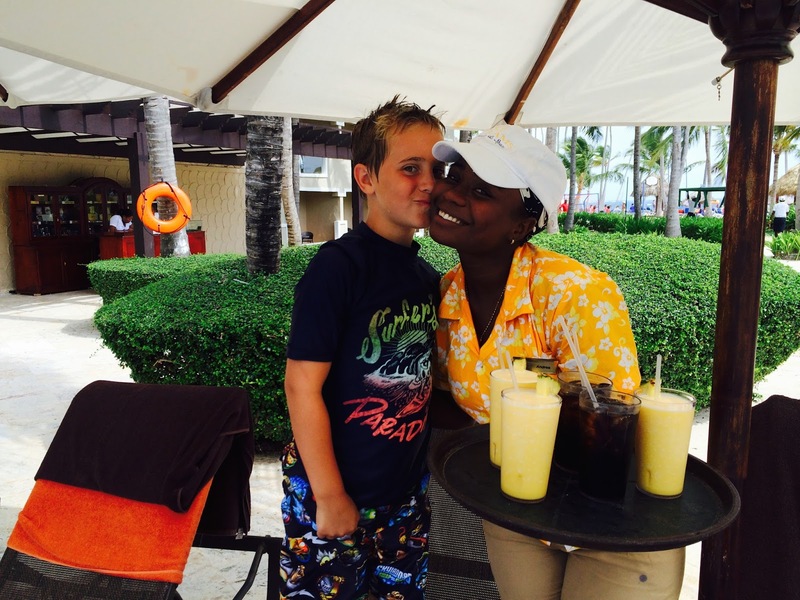 The staff here is amazing, and they really make the whole experience even more fun. Tuesday and Wednesday, we spent literally the entire day relaxing at the pool. My sister paid extra for butler service, and the butlers are fantastic! They gave us a cell phone to call them whenever we need anything. We asked them if they could find us some chairs by the pool (people get up super early to "reserve" chairs with towels, and it's hard to find anywhere to sit). When we were ready to go down to the pool, the butlers had chairs ready and waiting for us, in prime locations (next to the swim up bar, naturally!). And yes, I'm wearing my bikini! I'll write about that later. I've been trying to avoid the sun as much as possible, but I still got burned on my shoulders and back. Noah and Jerry are burned as well, and Eli's just a little burned. I brought a ton of SPF 50 sunscreen, and I've been applying it pretty much every hour, but it's been unavoidable. I'm glad I brought swim shirts for the kids, because those at least protect their backs and shoulders. Today, we're going to hang out in the rooms most of the day, so hopefully that will help with the burns. I've been doing well with intuitive eating--I haven't been eating too much, and I've been eating what sounds best to me. The hardest part is the alcohol! The servers put another drink down next to us just as we're finishing the first, and it's so hard to say no. I've been loving a drink called a Chi Chi-something (we just tell them we'd like a Chi Chi, because it's hard to remember the full name of it). It's orange juice, coconut milk, and rum, blended with ice. It tastes kind of like an Orange Julius--so good! If I gain weight while I'm here, it'll definitely be from the yummy drinks. As you already know, I'm probably on the beach sipping a mojito right now ;) I didn't want to skip over Motivational Monday, however, so I prepared this one (and next week's) before I left. Some great stories today! 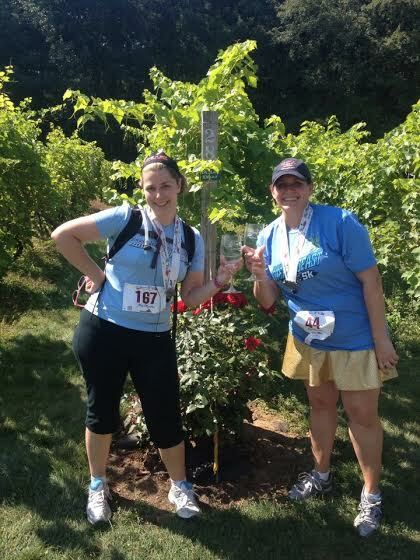 Last weekend, Rhonda (on the right) completed the IronGirl Sprint Triathlon in Seattle! This was her fourth year participating in the event, and each year, she's improved her times. 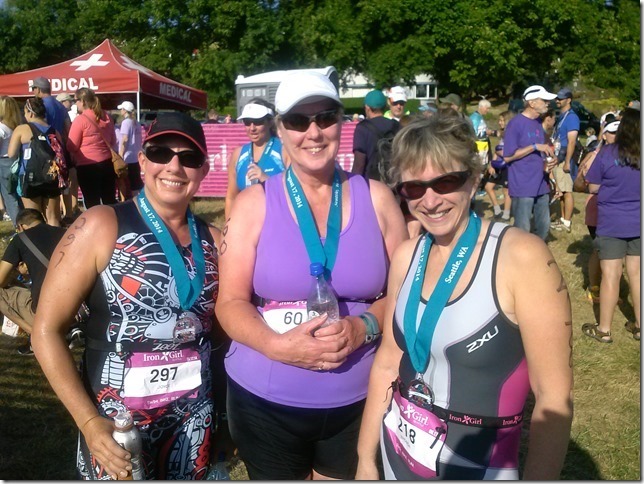 Her girlfriend, Joyce (on the left), did the event for the first time this year, and Margene (center) placed third in the 70-75 age group. They are all members of Sunset Family Fitness in Seaside, Oregon, and are grateful for the help to get in shape and complete this race! 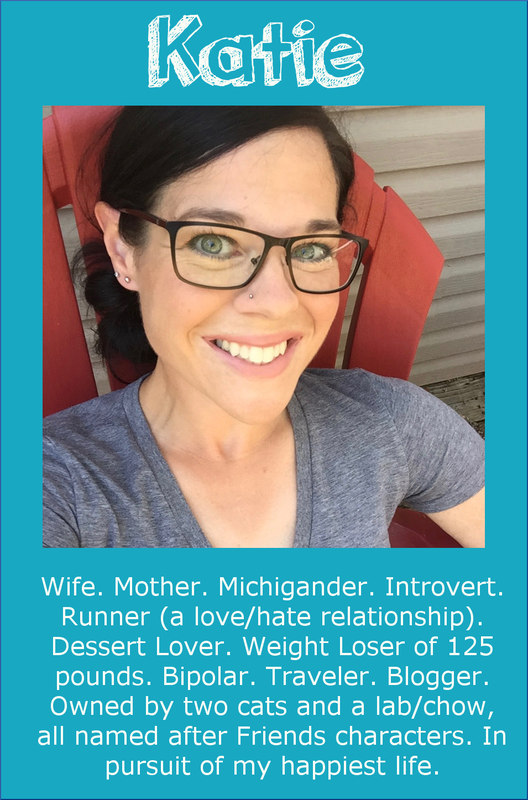 Deb had a scare during her pregnancy when she discovered that she was hypertensive, and that was the push she needed to start eating healthier. Her pre-pregnancy weight was 315 pounds, and she started using My Fitness Pal in December of 2013. 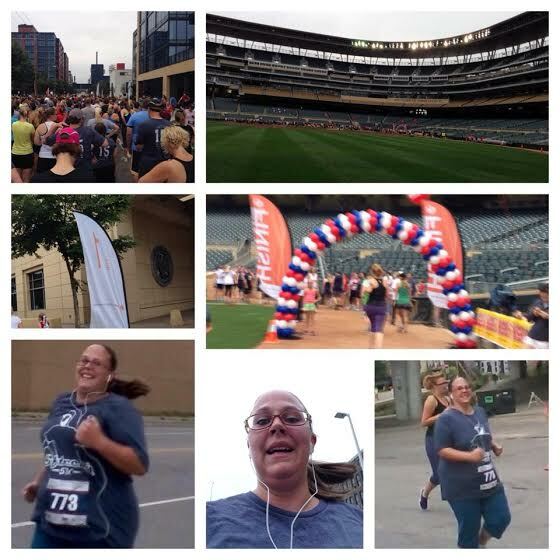 She started running in mid-March, and ran her first 5K in May. 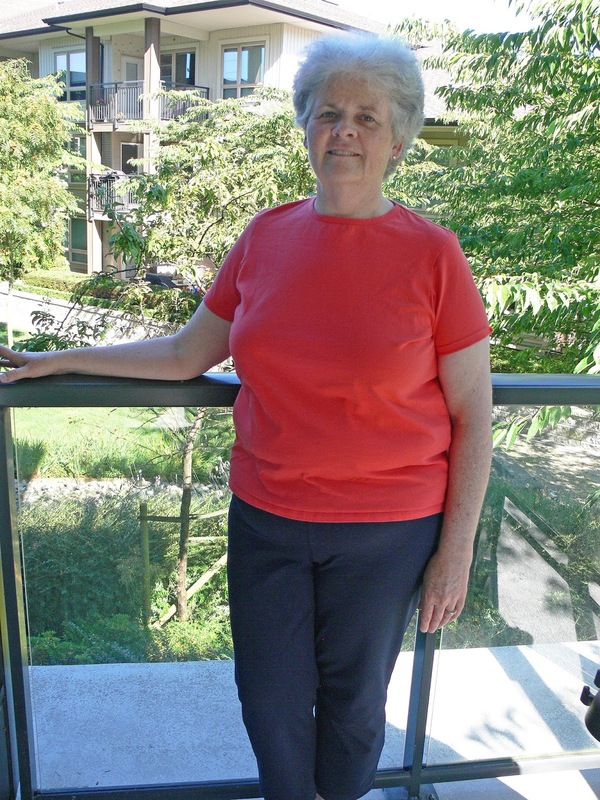 She now logs 20 miles of running per week, and is just 10 pounds from a "healthy" BMI. Her photos show her at 277 (she didn't think to take a photo at her heaviest) in size 28 jeans, and now at 180 in size 12 jeans! 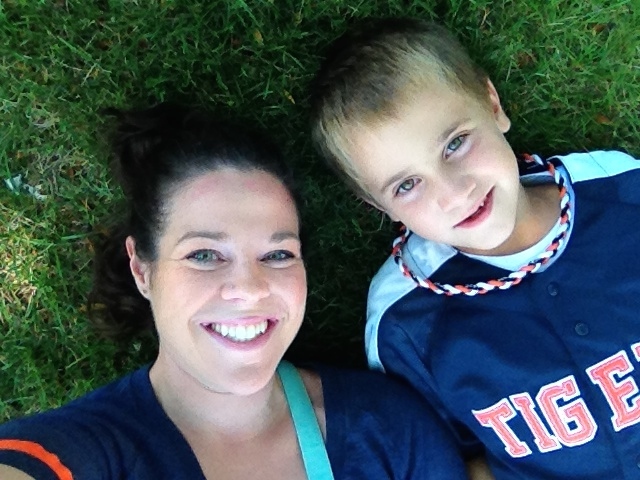 Her children are 5, 4, and 10 months, and this summer, she was thrilled to be able to really enjoy playing with them. Bergen accomplished a HUGE goal recently--a chin-up! If you've ever tried one of these (other than in elementary school) then you know just how difficult they are. She does Crossfit, and has been working hard to do this for about five months. Usually, she practices with bands to help her, but when she was at the park, she decided to give it a try--and she did it! 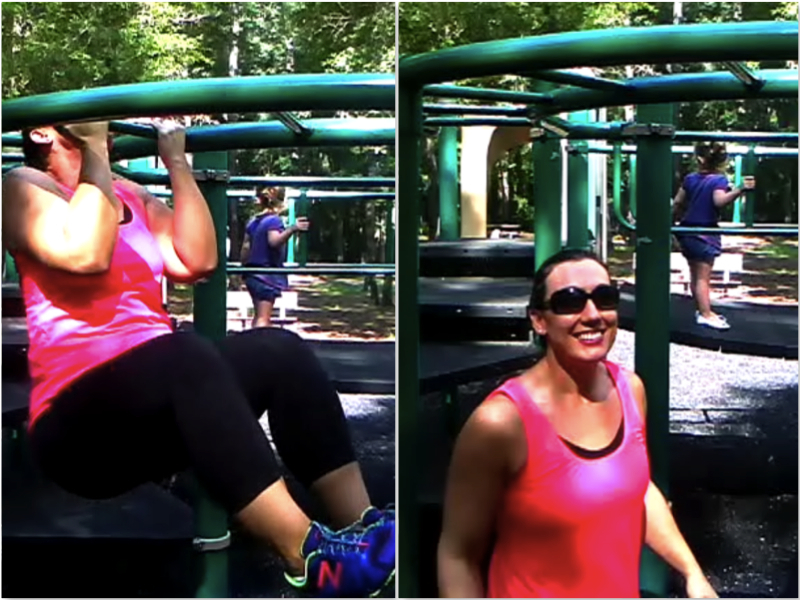 In her words: "There is something really liberating about being able to grab a bar and pull yourself up, especially when you used to weigh 320 pounds." Amazing! Congrats to everyone on some awesome accomplishments! Over the past four weeks, I attempted to do a long run at least six times. I would set out with full intentions of running 8+ miles, but I just didn't have the drive. That's one of the downsides of intuitive eating, I guess--since I don't earn any extra points or calories for running long, it's been hard to make myself JUST DO IT. This week, I really decided enough was enough, and I was going to do two 4-mile runs, a semi-fast 3-mile run, and a long run of 12 miles. No excuses. 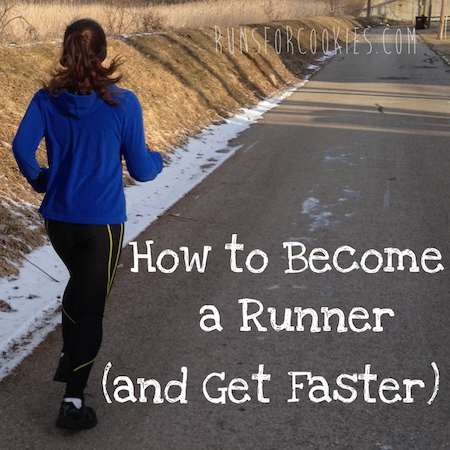 I did the 4-milers, and yesterday, I ran a semi-fast 3-miler. Today was going to be the day for the 12-miler, no matter what. Rain, shine, treadmill, outside, feeling good or not, I was going to get it done. Jerry said he'd run the first five miles with me (the kids were at my mom's), which was helpful, so I got up this morning and got ready to run right when it was light enough outside. We were going to do a 5-mile loop of the neighborhoods around here, and then I'd head out for a solo out-and-back for the other 7 miles. I didn't want to be influenced or discouraged at all by my pace, so I changed the face of my Garmin to show just the distance, and nothing else. I don't know why, but I checked the weather before heading out--and saw that the humidity was at 100%! That's the WORST to run in--worse than a hot sunny day is a very humid day. When we were ready to go, we went outside and even though I was expecting the humidity, I still gasped and said, "No way!" I immediately started thinking of reasons not to do it, and that I'd do it tomorrow, or on the treadmill. But this was my last chance to do it before vacation, so I was going to put in some serious effort. We started running at a very comfortable pace, because I knew I was going to need my energy later. 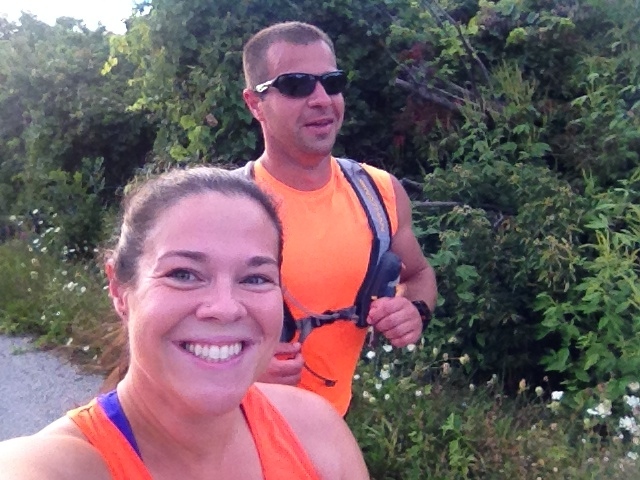 We chatted the whole time, and even though we were sweating like crazy from the humidity, it was fun to run together. 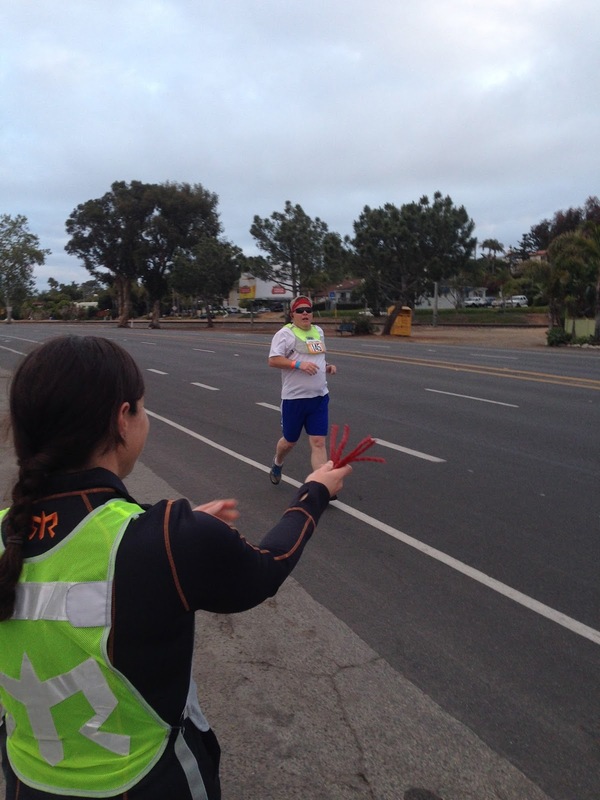 At around mile three, Jerry said his knee was feeling really tight. I tried to convince him to walk home from there, but he said it wasn't hurting, just tight, so he wanted to keep going. Just before mile four, I could tell it was bothering him, and he agreed to walk home at the four mile mark. 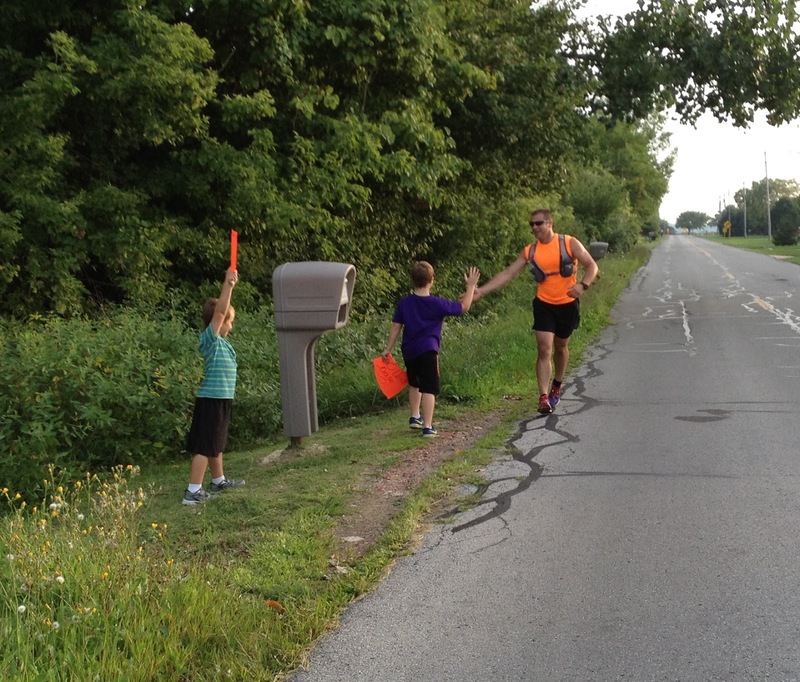 I kept running, and just before mile 10, my mom (and my kids) drove up to give me a couple bottles of water. It was heavenly! I refilled my handheld, and gulped down half a bottle. I poured some on my head, neck, and arms, and then kept running. I only had two miles left, but it seemed like I was SO FAR from home. I was tempted to get a ride back with my mom, but being "just" two miles from home, I knew I could push myself to finish. I also knew that I needed this 12-miler as a mental boost, even more so than physically. I can't even describe how I made it home. It was one of the hardest runs I've ever done! For the last mile, it took so much effort not to stop. I turned down my street, and was thrilled when I heard the beep of my Garmin signaling 12 miles. 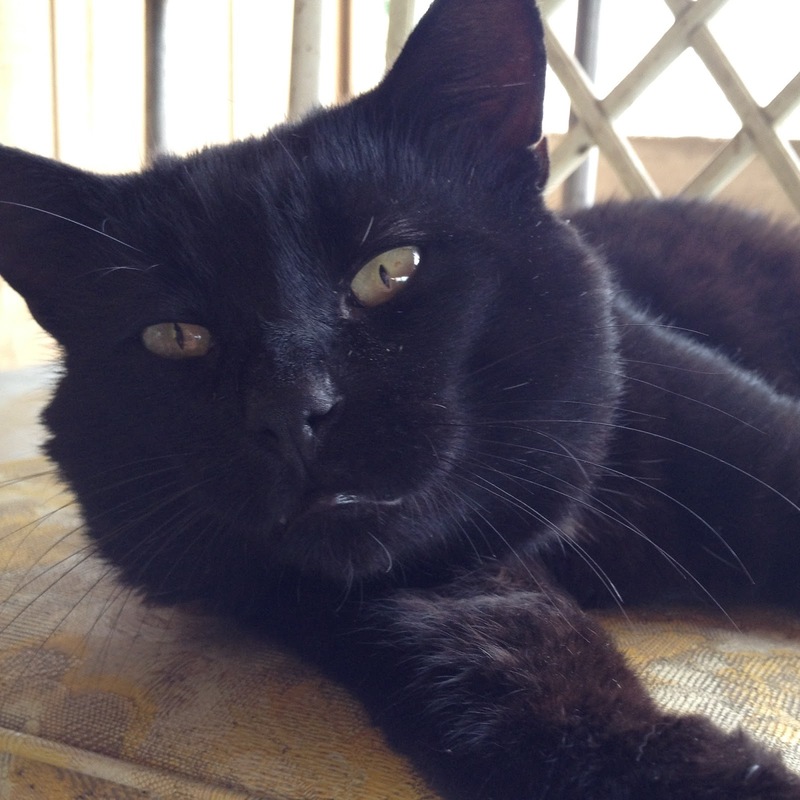 I collapsed onto the porch, and gulped down the ice water Jerry had left out for me. I was SO glad that I did it! I really needed that run to give me a mental boost before vacation. I was definitely disappointed to see my pace, but I honestly wasn't surprised that it was in the 11's. The humidity makes my lungs feel like I'm racing even when I'm running at an easy pace. I actually burned 1,232 calories--MORE than 100 calories per mile! 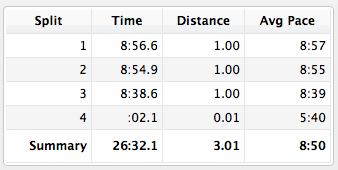 My Garmin's suggested recovery time was 68 hours, haha. Usually, it's about 24 hours. I intended to do a bunch of housework after my run, but I was really stiff and achey afterward. Instead, I worked on a project that we'd started yesterday--organizing the kids' Legos. I have no idea what possessed us to do this, but we decided to organize them by color. Most of the Legos we have were the ones that I played with as a kid, and even my older brother and sister played with. They're about 30 years old! And of course, there are newer ones, too. We have two huge tupperware bins full. This isn't even half of the Legos, but it took us about four hours to sort! The kids always want me to play Legos with them, but it's frustrating to find the pieces we're looking for, so I thought it would be nice to keep it organized. We have several sets of instructions for different projects, so now we can actually build them without searching for pieces all night. I actually really like building things with Legos, if there are instructions to follow. Tonight, the kids have a birthday party to go to, which is about an hour away. I think my mom is going to come with me, so we can go shopping or to dinner or something while the kids are at the party. Tomorrow, we are going to clean, clean, clean the house so our house/catsitter can actually find things! I always like coming home to a clean house after vacation, too. Only a couple of days until we leave--I'm so excited! As I mentioned a couple of weeks ago, I recently read a book on intuitive eating (or what the author calls "hunger directed eating"). 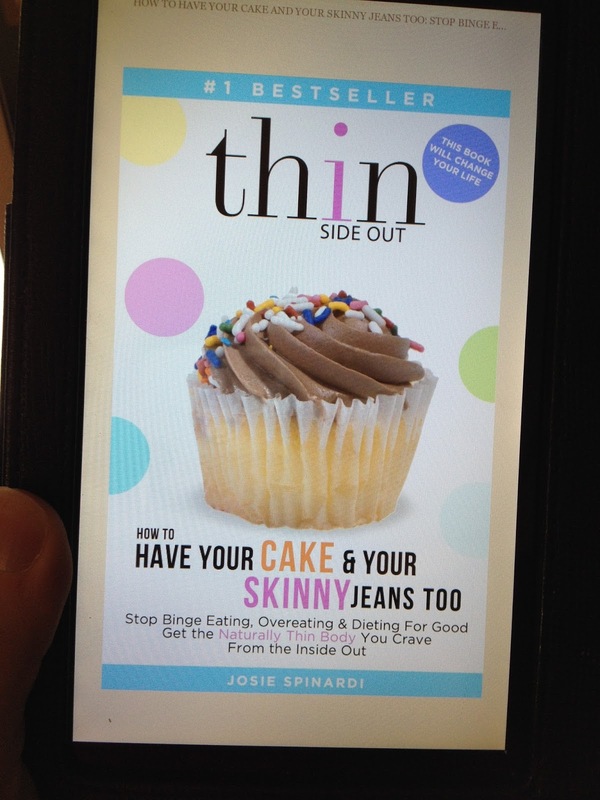 It's called "How to Have Your Cake and Your Skinny Jeans Too" by Josie Spinardi. I'd read lots of books about intuitive eating, so I was very skeptical that this one would be any different, but I was really impressed with it. It explained intuitive eating in ways that I'd never really understood before, and even better, explained HOW to do it (as opposed to just what to do). Most people know the basic principles of intuitive eating: 1) Eat when you're hungry; 2) Eat what you want most; and 3) Stop eating when satisfied. It sounds SO simple, right? Well, I'd tried it about a dozen times before, and never lasted long. The second I'd binge, I'd think, "See? It didn't work," and I'd go right back to counting points or calories or whatever. After reading the Skinny Jeans book, and putting it into practice, I now realize what I was doing wrong. 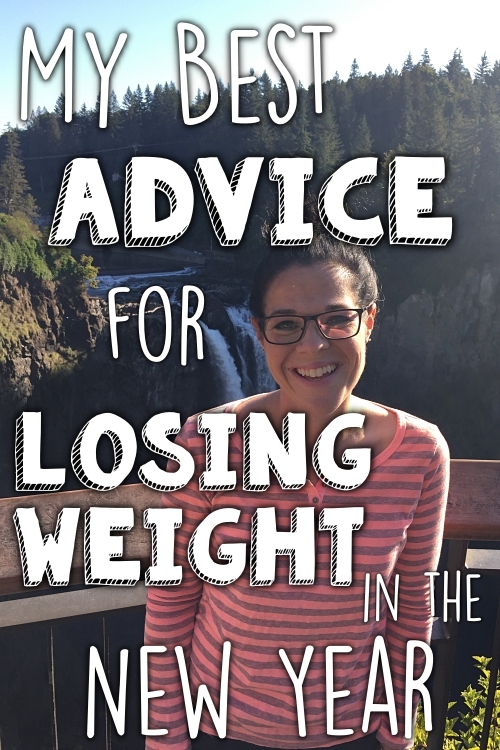 When trying to eat intuitively before, I would still hold onto this thought of losing weight being the top priority, so I was still being somewhat restrictive. I didn't truly give myself permission to eat anything I wanted, and I avoided certain foods that I felt I might binge on. I also didn't eat enough. I didn't really understand how to know that I was satisfied, and I would stop eating before I was truly satisfied (physically and mentally). The combination of those two things would lead to a binge. This time around, I really wanted to give it my all and fully trust the process. I even prepared myself to gain a few pounds in the beginning while I figured it all out. 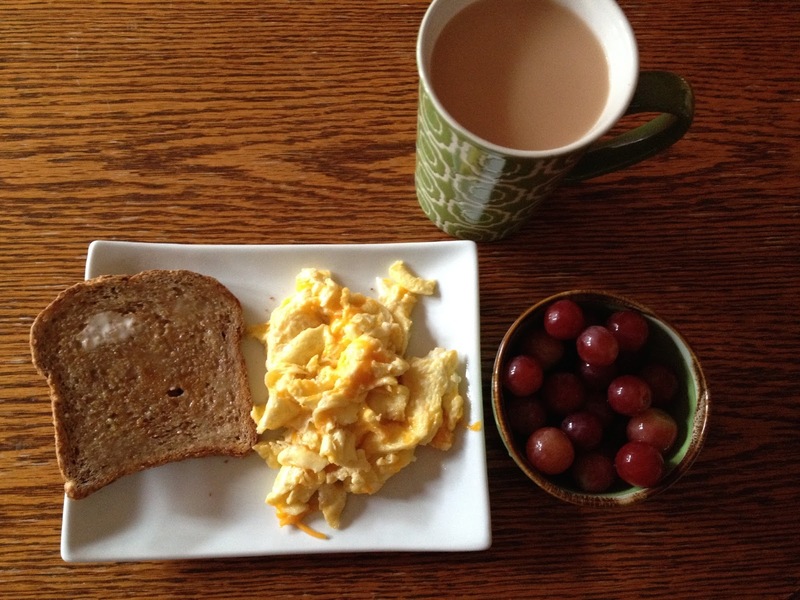 I decided to try intuitive eating not for the sake of losing weight, but more so to be able to eat in any situation without stressing out over it. I was tired of counting points, and I was having a really difficult time sticking to it because my heart just wasn't in it. I figured it couldn't hurt to give the intuitive eating one more try. I'm so glad that I did! I am absolutely loving this way of eating. It's been a huge stress relief not to think about food all the time, and not to have to plan everything out in advance. I've learned a lot about my body just by paying attention to what it's been trying to tell me. The Skinny Jeans book describes the beginning of this way of eating as the "Doughnuts and Doritos phase", because at first, you naturally want to eat nothing but what you deprive yourself of while dieting. Eventually, your body will stop wanting all the junk, and you'll crave healthier foods--but at first, it's normal to crave (and eat) "junk" food. This is the phase where I fully expected to gain a few pounds, but surprisingly, I'm actually down 4.5 pounds since I started the intuitive eating. I still consider myself in the "Doughnuts and Doritos phase", because I get excited to eat foods that I avoided for so long. But I've been completely trusting my body, and I've been eating what I crave--whether it's healthy or junky. The thing that has surprised me the most about this whole process is that I don't actually want to eat a lot of the things I normally think I want to eat. For example, when I'm counting points or calories, all I want to do is eat ice cream. It consumes my mind until I end up bingeing on it. So I thought that as soon as I gave myself permission to eat it for breakfast, lunch, and dinner if that's what I wanted, I would do just that. What I discovered, however, is when I ask myself what I'm craving, it's never ice cream! I've only had ice cream twice since starting this experiment. I've discovered that I actually don't really crave sweets as much as I expected to. When I do crave something sweet, it's usually in the afternoon between lunch and dinner. In the mornings, while I have full permission to get a doughnut for breakfast, it actually hasn't sounded good. When counting points, all I thought about was sweets! Whenever I would see peanut butter Pop Tarts in the store, I always wanted to buy them; but I didn't, because I just "knew" I would binge on them. I'd had them once before, when they first came out, and I did binge. So when I gave myself permission to eat them, I bought a box. I ate one, and it just wasn't very good. Nothing like I'd imagined or remembered. In fact, we ended up throwing them away after a week, because nobody in the house really liked them! 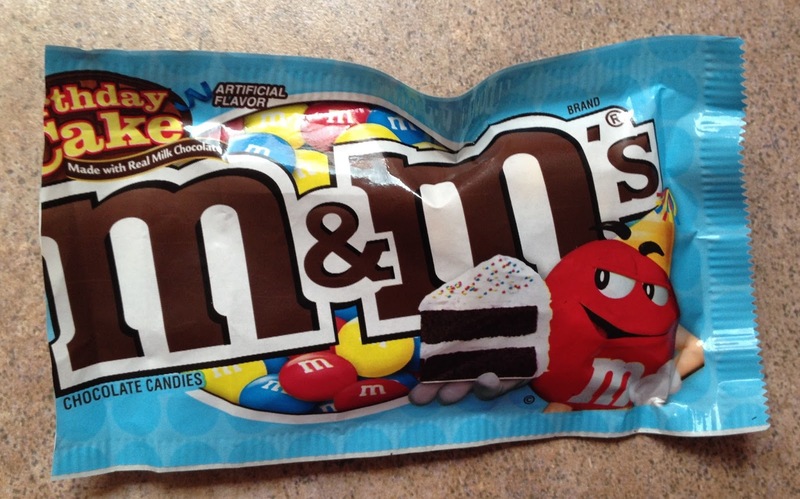 On Jerry's and my anniversary, I bought a small bag of Birthday Cake M&Ms for us to share. Again, I always wanted to try them, but never bought them for fear of bingeing. We each tasted them, and neither of us was impressed enough to eat more than two. These were not good at all! Some of the junkier foods have definitely been worth eating, though! The ice cream that I had at the dairy farm yesterday was delicious. I had a single scoop, and ate all but a couple of bites. I made homemade fettuccine alfredo one night for dinner, and it tasted like what I imagine Heaven to taste like. I've been eating and drinking things that I used to avoid--like orange juice. I never wanted to waste my calories on juice, but it sounded good to have with my eggs for breakfast one morning, so I bought some. And I love that I can do that without feeling guilty for "wasting" calories on a drink. I ask myself what I want for breakfast. When we went out to dinner after the Tigers game last weekend, we went to a place that is known for their Chicago-style pizza. It's deep-dish, and loaded with cheese--definitely not something to fit easily into a calorie budget. In the past, I would have blown off my points, stuffed myself with pizza, because I planned to get back on track the next day. This time, I ate two slices, and felt good. We had four slices leftover, so we brought them home. It sounded good for breakfast the following morning, so I ate a slice for breakfast. And again the next morning. I didn't feel guilty, and I didn't feel like I was "blowing it" by eating the pizza. Something else that I've been paying particular attention to is how my body feels after eating different foods--both good and bad. I've discovered that eggs with cheese, Ezekiel toast with butter, and some fruit makes me feel good and very satisfied for about five hours. I've discovered that I'm much more physically satisfied with savory foods than I am with sweets. 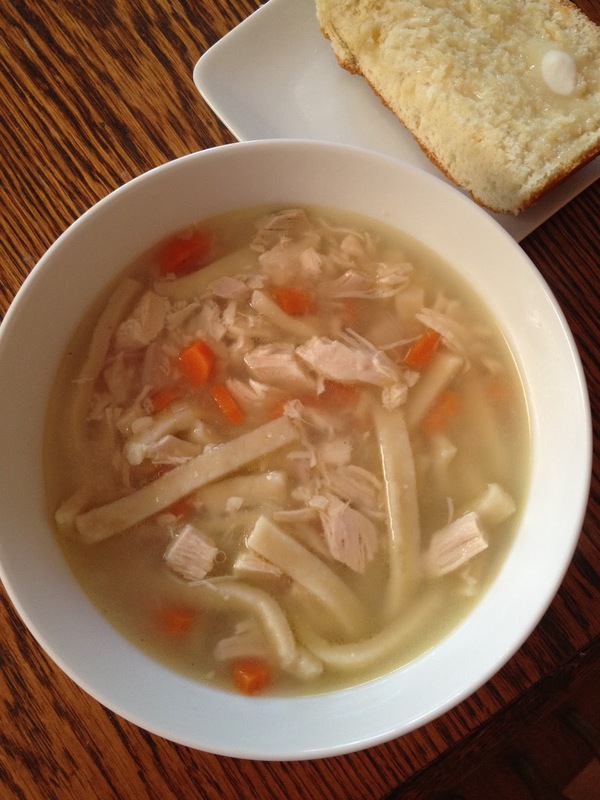 I've discovered that homemade chicken noodle soup gives me a stomachache (not sure why), and that fried food makes me feel tired. The fettuccine alfredo that tasted amazing? It didn't make my stomach feel very good. I've learned that cinnamon raisin granola and milk makes my body feel great and gives me energy for several hours. I never used to pay much attention to this kind of stuff before, so I've found it really interesting! Despite all that I just wrote, I haven't eaten ALL junk. I just eat what I really crave, and I'm trusting that after this "Doughnuts and Doritos phase", I'll crave healthier foods. I've been eating a lot of fruit, because I love it, but haven't been craving many vegetables yet. Hopefully I will as my body adjusts. I think the hardest part about eating this way is knowing when I'm satisfied, or have had enough food without being stuffed. I've probably been erring on the side of eating a little more than necessary than too little, because I don't want to cause a deprivation binge; but the Skinny Jeans book really did help me to realize when I'm satisfied. For example, when you eat the first bite of what you've been craving, it should taste like a 10 on a scale of 1 to 10. When you get to the point where it just tastes like a 7, then you've probably had enough. I've found this to be pretty accurate for me. Something I've found to be helpful is that I don't go to the grocery store and buy all the stuff that I think I might crave--I only buy it if I have a craving that very moment. Instead, I know that I can go buy it at any time, so I'll just wait until I actually have that craving (and am physically hungry) before buying it. For example, I always see Oreos when I'm grocery shopping, and I think, "Oh, I can buy those now!" but deep down, I realize I don't actually have a real craving for them in the moment. So instead of buying them to keep around for later, I just leave them at the store and give myself permission to go buy them if I really want them later. And so far, it hasn't actually happened. Well, this post is way longer than I intended--I'm just pretty excited that I'm doing so well with it. I've only binged once, and I realized it was because of having too much wine--I felt a "false hunger" after the wine, so I was eating to try to satisfy that--but because I wasn't truly hungry, I was never satisfied. Instead of saying, "See? It doesn't work!" and quitting, I learned that I just need to be careful when drinking wine that I don't follow that false hunger. Our upcoming vacation will be a big test for me, because usually, on vacation, it's easy to go way overboard and say, "Oh, I'll just get back on track when I get home". But the reason intuitive eating appealed so much to me was that it's the same in ANY situation, including vacation. So I'm going to follow the same principles I've been doing all month, and hopefully continue to see progress. So far, I'm just really happy with how everything is going. I've really enjoyed discovering all these new things about my body, my cravings, how I feel after eating, etc. It's been a fun and interesting experiment! This morning, I emailed Eli's school to ask if we could come check out his classroom, because we're going to be gone during the school's open house. Eli was mad at me because I hadn't put in a teacher request for him, and he didn't get the teacher he really wanted. I was bummed, because I really liked the teacher he wanted as well, so when we got to the school, I talked with the principal about switching him. She was so nice, and said that it would work out fine--so now Eli has the teacher we'd hoped (I know her because Noah had her in preschool and in third grade). Tomorrow, I'm going to take Noah to the middle school to check out his classroom as well. I cannot believe he's going to the middle school! It's seems like he was just starting kindergarten yesterday. He's nervous about the new building, so I want him to be able to find his way around before we go on vacation. Our flight lands in Cleveland at 7:00 the night before the kids start school--and Cleveland is a little over two hours away from home. Usually, the kids start school the Wednesday after Labor Day, but this year, it's Tuesday, which surprised me. I'll just (hopefully) have them sleep on the drive home from Cleveland. Jerry was off work today, so we decided to go to a local dairy farm this afternoon. We usually go once or twice each summer. They have a bunch of animals you can pet and feed, and they have fresh ice cream that they make there. It's kind of strange, but I'd only had ice cream once since starting the intuitive eating at the beginning of this month. Ice cream is my very favorite food, but whenever I ask myself what I truly want to eat, I'm surprised that ice cream is never the answer. Today, though, ice cream sounded perfect, so I figured I might as well have really good ice cream at the dairy farm. We ate our ice cream first, and then walked around to check out the animals. I always love feeding the goats! Their mouths are so small and they nibble all the feed right out of your hand. We went inside the barn where the calves were, and my heart pretty much melted when I saw several kittens running around. There was a really pretty mama cat lying on a chair in the sun, and about four or five kittens (all black except for one, which was gray). The mama cat was very friendly, and let us pet her, but the kittens were very skittish. One of the kittens was hanging out with a calf, and it was SO cute to watch them interact with each other! The kitten would walk back and fourth right under the calf's nose, and then stand up nice and tall when the calf took notice. It was almost like the kitten was teasing the calf, who was pretty clumsy on his feet. So cute! There was a sign on the door that said NOT to take home any of the cats or kittens, and when we asked what that was all about, they explained that people had been taking kittens home when they were way too young to leave the mother. The pigs were hilarious. There were three of them, and they were so fat and content to just lie on the hay and sleep. They weren't fenced in, so they could just get up and walk away, but they obviously weren't interested ;) It was hard to tell if they were even breathing, but then we saw them looking at us when we walked by. The intuitive eating has been going really well, and I'm very happy with it! I'll write about that tomorrow. Tonight, Jerry and I are going to watch a movie. Five years ago today, I got on the scale in my bathroom and saw that I weighed 253 pounds. I wrote that number down in a little calendar book, hoping that I'd never see a number that high again. I had tried to lose weight dozens of times in the past, and sometimes even lost quite a bit, but I never got anywhere near a "healthy" weight. This time was different only because I went into it without feeling super motivated. I told myself that I wasn't going to make any changes I wasn't willing to live with forever, AND that I didn't have to exercise. I hated exercise, and decided not to force myself to do it. I wasn't really expecting that I would be successful at losing the weight this time, so I didn't want to make it too difficult. You all know how the story ends... I went on to lose about 110 pounds over the next year, and by the following August, I was at a "normal" weight. I continued to lose weight, and I had taken up running, so I was focused on becoming a better runner. My lowest weight was 127.5, but it had gotten back up as high as 156 at one point. For the past four years, my weight has certainly gone up and down, and at times, I struggled with feeling like a failure when the number was at the higher end of the range. Recently, I was trying to think of a fun post to write for the five year anniversary since I started this journey, and it was like an opportunity fell right into my lap. Someone left a comment on my blog that said, "Are u ever weighing in again? U were so inspirational. Not sure why you don't admit to the number and allow as to join u even during those times. A lot of us lose and gain." Now, I didn't get the impression that this person was trying to sound rude, and was probably genuinely curious, but regardless, the word that really struck me was "were". I wasn't necessarily offended by this comment, because I don't write my blog with the sole purpose of inspiring others. My blog is simply an online journal about whatever I feel like writing about that day--usually how my day went. Sometimes I focus more on the weight loss part of my life, sometimes on the running, sometimes on my family, sometimes on my cats, and sometimes on something completely random. It did make me stop and think for a minute, though. I "was" inspirational, because I got on a scale and posted a photo of it once a week? And now that I haven't been doing that, I'm no longer inspirational? 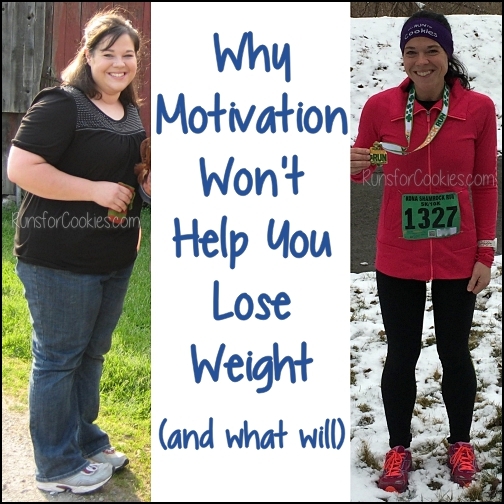 A few people have asked me why I stopped posting a weekly weigh-in. There are a few reasons: my weight hasn't changed by more than a couple of pounds over the past several months; I've not kept it a secret that my weight is up quite a bit; when I do post about a gain, most people are extremely supportive and encouraging, but there are always one or two people that cut me down and try to make me feel bad; and finally, it's humiliating to have my progress (or lack there-of) boil down to a single number on a scale. I've written before that I love the show Extreme Weight Loss. But the one part of that show that I cannot stand to even watch is the initial weigh-in. The first season wasn't so bad, because the contestants weighed in without an audience--just the contestant and Chris Powell. But now, it's always in a very public place (not to mention on national television), and Chris Powell tells the contestant to take off his or her shirt for the weigh-in. I can see the shame and humiliation on their faces, and it makes me feel horrible for them. It's degrading to be put on display like that. When the show first aired, I remember thinking that Chris Powell looked very uncomfortable asking them to take off their shirts, so I am assuming it was the producers' idea. As the seasons progressed, however, he no longer seems uncomfortable with it, and he explains it away as having to "face reality". Anyways, I'm getting away from the point. My weight is up--I have never hidden that fact. But do I need to humiliate myself on a scale week after week to be "inspirational"? No. Posting a gain once is hard. Consistently posting that I am over goal is embarrassing, and it makes me feel bad, when I really have no reason to feel that way. I am not expecting anyone to feel inspired by me, but if someone IS inspired, I hope that it's for more than just the fact that I weighed in publicly each week. So, with that very long introduction, here are some current things I'm proud of that I've accomplished over the last five years--and they have nothing whatsoever to do with the scale! 2. I can run. Let me write that again: I CAN RUN. Five years ago, I couldn't run the length of my street, and since then, I've run 3 marathons, 8 half-marathons, and numerous shorter races. I've run a total of 4,403 miles in the last 5 years! 3. I set a good example for my kids. I go out and run several times a week, I step out of my comfort zone when necessary, and I have more confidence (something I want them to see). I ran a 5K race with them to show them that they CAN do it. 6. I'm no longer afraid of trying new physical activities. When Pete Thomas from The Biggest Loser invited me to try out his boot camp, I was definitely nervous, but there was no question in my mind that I could get through it--and I actually really enjoyed it. When I went to Minnesota for a race, my brother let my friend Renee and I use his kayaks. I'd never used a kayak in my life, and I certainly wouldn't have tried it before losing the weight, but I did it and it was fun! 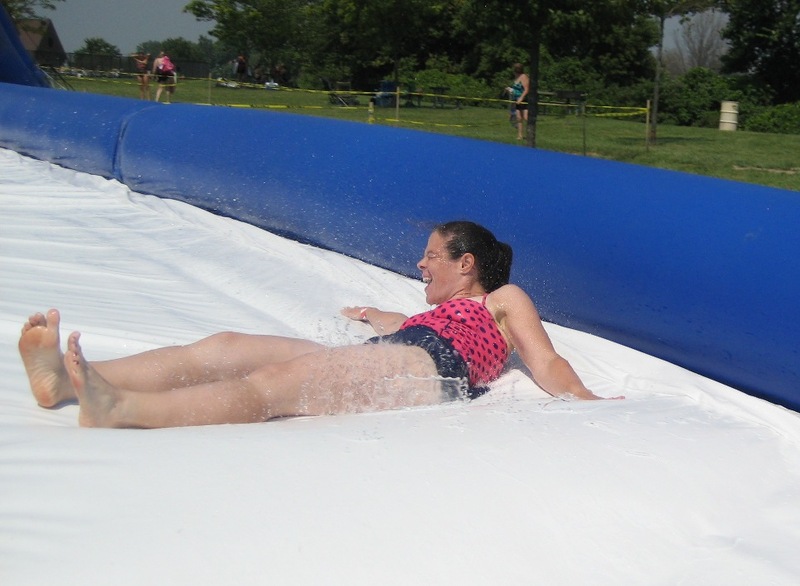 Going on an enormous inflatable water slide with my kids? Bring it! 7. My health numbers are great: my blood pressure is regularly about 90/60, my triglycerides and LDL cholesterol are low, my HDL is fantastic at 115, my blood glucose is totally normal, and my resting heart rate is great, at 52 bpm. Even with the extra pounds, my health is great. 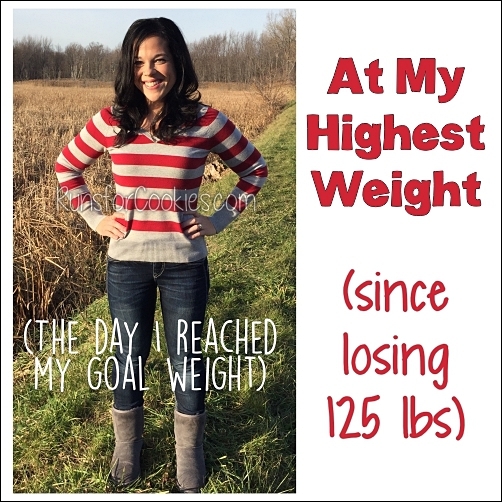 While I was (and still am) proud of myself for losing the weight, there is much more to the story than the number on the scale. Of course I'd love to get back to my goal weight, and I am always working to get back to and stay at the weight where I feel the best (and run my fastest); but in the meantime, I'm proud of myself for my other accomplishments. It would be easy to just say "Screw it!" and eat my way back up to 253 pounds. In one way or another, I work hard every single day to be successful at my goals. I can do a lot today that I couldn't do five years ago; and for that, I am proud. Today, I challenge anyone reading this to make a list of things you can do now that you couldn't do five years ago. Or a year ago. Or a month ago. Or last week! We don't have to wait until we are at our goal weights or have run a marathon to celebrate our success. Anything you can do now that you couldn't do before IS success! Happy Motivational Monday! Can you believe summer is coming to an end? We have one week until vacation (!!) and then a week in Punta Cana (!!) and the day after we get home, the kids start school. I did all of their school shopping last week, so hopefully it won't be too crazy when we get home. This summer has gone by ridiculously fast. At the beginning of summer, I had planned on getting back down to my goal weight by the time school started, but that didn't happen. 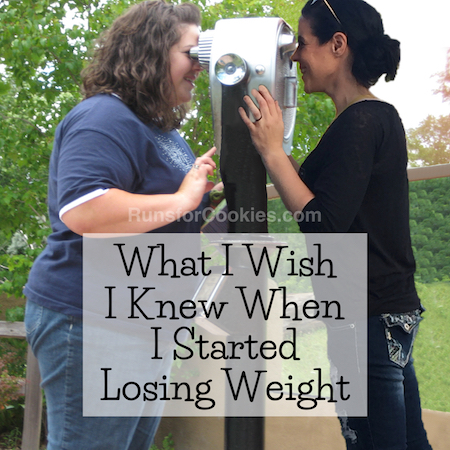 Summer has always been an extremely hard time of year for me to lose or maintain my weight. However, I am very happy to say that I didn't continue to gain weight all summer long--my weight has actually be bouncing up and down by about two pounds since March. I wish it were bouncing up and down closer to my goal weight, but regardless, I'm happy that I haven't continued to gain. What have you all done lately that makes you feel proud? 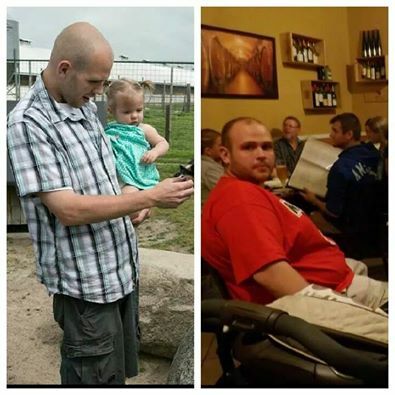 Dani is both proud of and inspired by her husband, Scott--he has lost 110 pounds since January! 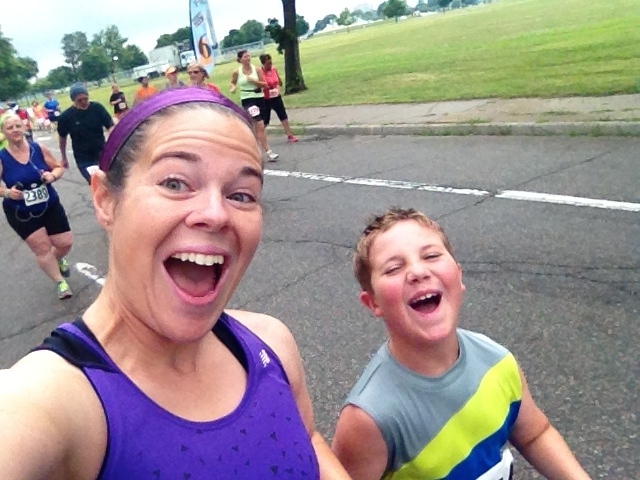 He's also become very active, and just completed his first 5K race in 28:32. Seeing Scott's progress, Dani was inspired to become more active as well, and now they go for family walks and ride bikes together. She is excited to lose the weight to become a healthier wife and mother! Don't forget to check out the Motivational Monday Facebook post for more stories! What a weekend! As I mentioned, yesterday was Jerry's and my 11-year wedding anniversary. He was supposed to work all day, but on Friday, he asked his boss if he could possibly have the day off. Eventually, his boss agreed. We didn't have big plans, but I wanted to do something to celebrate. My mom took the kids for the night. Neither Jerry nor I was very hungry at dinnertime, so we decided that instead of going out to dinner, we'd just use that money to play Keno instead. We walked to the bar, where we split an appetizer and had a couple of drinks while we played Keno. I've only ever played a four-spot Keno card (where you pick four numbers, and if you match two or more, then you win). Last night, I decided to try my luck at seven-spot (you pick seven numbers, but you need to match at least three to win something). Turns out, my luck was terrible at the seven spot! We only won half our money back. But we don't really play Keno thinking we're going to win big, so it was no big deal. We had a lot of fun! 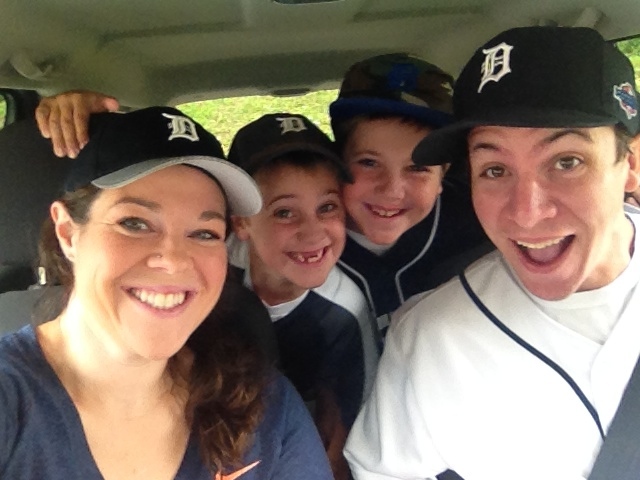 Today, Jerry's employer treated the employees and their families to a Tigers game. 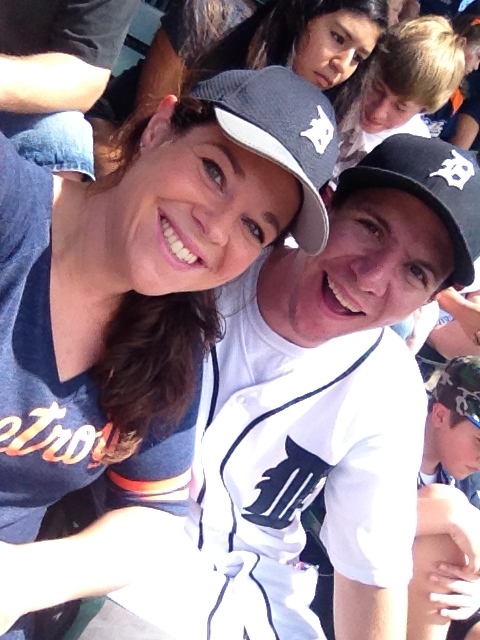 We put on our Tigers gear, and took the kids into Detroit for their first-ever Tigers game. The game started at 1:00, and once we got there and found our seats, I couldn't believe how hot it was. The sun was directly overhead, and I was so sweaty within seconds. Our seats were facing west, so there wasn't any hope of getting shade. After a couple of innings, I could see that Noah and I were starting to burn. It hadn't even occurred to me to bring sunscreen! The kids were pretty miserable in the heat, so we talked about leaving, but it was only the second inning. Instead, we went down to the lowest level, and stood and watched some of the game there. It actually felt really nice when we weren't in the direct sun. By the seventh inning, the Tigers were down by 7 runs, and Eli was totally ready to leave. Noah wanted to stay, so Jerry and Noah stayed for the rest of the game, and Eli and I went outside the stadium to wait. We found a nice spot to sit on the grass under a tree, where we just people-watched. We really enjoyed that more than the game, I think! There were some street performers and lots of people leaving the game. It was really nice to sit and chat with Eli while Jerry and Noah were still at the game. Eli showed me his loose tooth, and it was definitely ready to come out. I gave him some napkins from my purse and told him to try pulling it. He worked on wiggling his tooth, and right after Jerry and Noah came out of the stadium, Eli pulled his tooth out. That's his FIFTH tooth to come out in about three weeks. The last two he pulled himself. He's now missing three on top and two on bottom. Rather than try to fight the traffic to leave right away, we walked through Greektown about a mile to Pizza Papalis for dinner. It was already nearly 6:00, and we were all starving. Seeing that area of Detroit was actually very nice! Some areas of the city feel really unsafe, but the area we walked today wasn't bad at all. We saw a few street performers, and there was one man that the kids especially liked. He stood extremely still, and then if you put a tip in his box, he'd "come to life" and act like a robot. It was hilarious to just watch people walk by, and they didn't even notice him until he started moving right as they walked past. Several women screamed or gasped when they realized he was a real person. The whole day ended up being lot of fun. I was worried when we first got to the park and it was SO hot, but we did what we could in the situation, and all of us ended up enjoying the day. We didn't get home until about 7:30, so it was a long day! 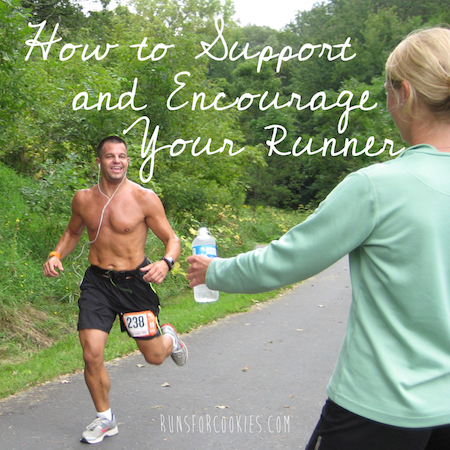 Don't forget, tomorrow is Motivational Monday, so if you have a photo you'd like to share, you can email it to me at Katie (at) runsforcookies (dot) com, subject: Motivational Monday, along with a brief description, and I may post it tomorrow! It was another gorgeous day outside, but Jerry was working this morning, so I didn't get a chance to go outside for a run. Instead, I just opened up all the windows in the house and ran three miles on the treadmill. 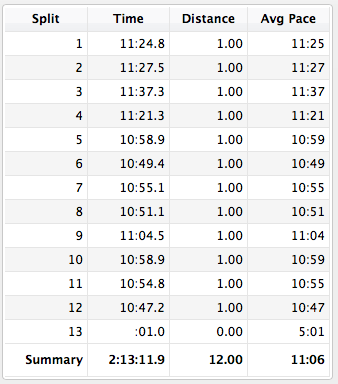 I was hoping to run sub-9:00 miles, because I haven't seen very many of those lately. I set the treadmill on 6.8 mph for the first couple of miles, and then I bumped it up a bit for the last mile. I was expecting it to feel really difficult, because I haven't been running even close to that pace lately, but I felt really good the whole run. I'd like to get back to running three miles once a a week at a pace that gets slightly faster each week. Today's three mile run time was 26:32, so next week, I'll try and finish a little faster than that. When I was at my fastest in winter/spring 2013, that's what I used to do. The morning went by so fast! I didn't really even accomplish much (other than the run), but before I knew it, it was lunchtime. I made some more olive tapenade, because I didn't want the fresh herbs I'd bought to go bad, and I still have leftover olives. I ate that with some crackers and a cup of the leftover broccoli cheddar soup from last night. It was heavenly! This afternoon, I had a doctor's appointment for my yearly physical. I didn't go last year, because Jerry had switched jobs and it wasn't required for the new insurance, but now that he's back at his previous employer, we have to get a physical once a year. Insurance costs more if you're a smoker, or your BMI is over 30, or you have high cholesterol, or other things like that. I wasn't worried about anything, because I'm not a smoker and my numbers have all been good since losing the weight. I was surprised, then, to see that my cholesterol was high--227! The doctor said not to worry about it at all, because my HDL ("good" cholesterol) was the reason for it being so high. My HDL was 115, and my doctor said an HDL level that high is pretty much unheard of, but that it was a good thing. My triglyceride and LDL ("bad" cholesterol) were both on the low end of the normal range, so that was good. On one hand, I'm glad that my HDL is so high (the recommended HDL is 40+); but on the other hand, I hope that my total cholesterol being high doesn't end up costing us extra for our health insurance. It's kind of interesting... when I lost weight several years ago through diet alone, my total cholesterol dropped significantly in a short amount of time. It was over 200 before losing weight, and then dropped to 170-ish. My HDL at the time was 44. This time around, I lost weight through diet AND exercise, and while my total cholesterol is higher, my HDL jumped up by 71 points! I'm inclined to think that it's due to running. Anyway, other than the cholesterol issue, everything else is good. I was supposed to go to Renee's for wine tonight, but I had a bad headache all day. I got ready to go to her house, and then I even drove halfway there, but I turned around and went back home. I've had a headache for a couple of days, and I really hope I'm not getting sick. Noah is better now, thank goodness, so we just need to keep everyone healthy until Punta Cana! This morning felt like fall--it was SO nice outside! When I woke up, it was 57 degrees. I hadn't planned on running today, but with weather like this in August, I couldn't pass it up. I decided to take full advantage and go to the State Park to run a five-mile loop there. They had a couple of buckets, and I was fully expecting the bait to be bugs or fish guts or something nasty. It looked like sawdust with corn in it, and when they squeezed it, it formed into a ball. They were trying to decide which one to use based on smell. The first one smelled like cake batter to me, so of course I liked that! The second one smelled really good, too, but more fruity. I told them that I will always pick cake over fruit, so I'd go with the one that smelled like cake. The water was like glass, because there was barely any wind. It was sunny, but not hot, and it just felt great! I had set my Garmin to show only the distance, so that I wouldn't worry about my pace or anything. I just wanted to enjoy the run. The first mile flew by, and then I started feeling really nauseous during the end of the second mile. I hadn't eaten anything, so I wasn't really worried about throwing up, but my stomach was definitely not happy. I stopped to take a couple of pictures on a bridge, and hopefully force the nausea to go away. When I started running again, I felt much better. There were a lot of people out on the trail today, which wasn't surprising with this weather. At mile 3.5, there was a sign saying the trail was closed. I have no idea why it was closed, but thankfully, it was at a point in the trail where I was 1.5 miles from the car whether I kept going forward or whether I turned around and took the short path. So I just turned around and ran straight back to the car, getting in just over five miles. I asked the boys who were using the cake bait if they had any luck, and they said they did catch one with it. They said they like to make their own bait and it has to smell good, because they won't fish with anything that they wouldn't enjoy themselves. 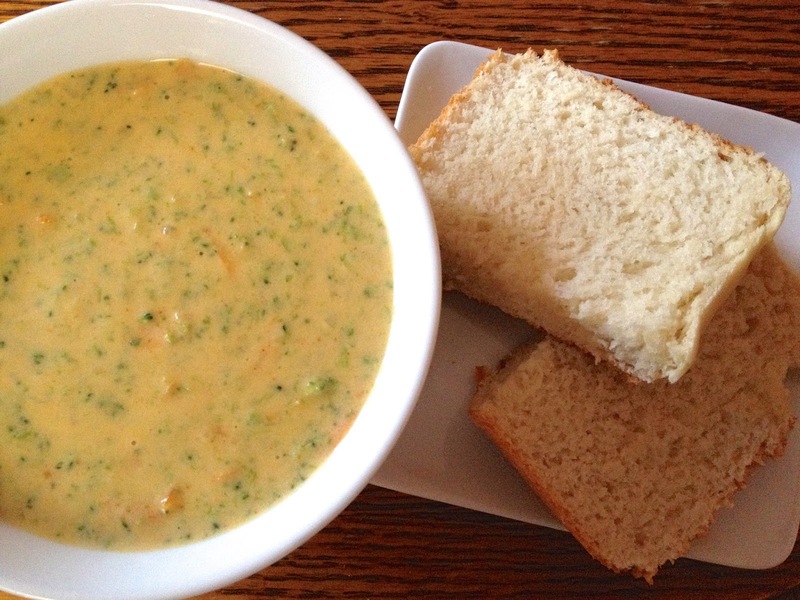 On the way home, I stopped at Kroger to get the ingredients to make a copycat-Panera's Broccoli Cheddar Soup recipe for dinner. I've been craving their soup, but rather than driving 25 minutes and spending $6 on it whenever I want it, I figured I should probably try to make it at home. I'd always avoided making this recipe, because it's not very points-friendly on Weight Watchers. It turned out SO good! I made a loaf of homemade bread to eat with it, too. I made this recipe, but I followed a few suggestions in the comments. Instead of using nutmeg, I used paprika (the comments suggested 1/2 tsp, but I accidentally put in a whole teaspoon); I added a little salt, a couple drops of hot sauce, and a little mustard. I used a little more broccoli than the recipe called for, because I just chopped up what I had (two crowns). When making it again (and I will be!) I'm going to make it exactly how I did today. Purina recently asked for cat owners to share their cat's rescue story on social media, using the hashtag #myrescuestory. They announced that if there are 1,500 stories shared before September 2nd, they will donate $50,000 to The Petfinder Foundation to support future cat adoption fees. All three of my cats are rescues (and Paolo was, too), so I shared their stories on Instagram. she loves to cuddle to make us feel better. while I sit with my legs up. She keeps our house lively and so fun! I loved reading through all the other rescue stories, too. My cats have all been healthy when I've taken them in, but there are a lot of people who take in cats with some serious physical issues--diabetes, FIV, physical disabilities from being abused or hit by cars, etc. I think it's awesome that these cats still find homes! Funny story: AS I was typing this about the cats, I could hear a very faint meowing. Chandler was next to me, so I called Estelle and Phoebe. Estelle came to me, but I couldn't find Phoebe. I started thinking about that time she was missing for four days, and so I started walking around and listening for the meowing. I kept calling her, and she kept meowing, but it was SO quiet and far away sounding. I started to think maybe she was stuck underneath the house.